Sit back and relax in the Big EZ, Dream Maker Spa’s 5-6 person hot tub featuring patented comfort back water stream contours. 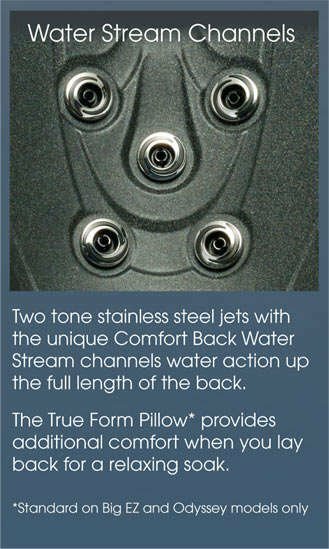 Comfort is key in the newly enhanced BIG EZ with stainless steel massage jets that give you a truly unique pressure controlled massage. 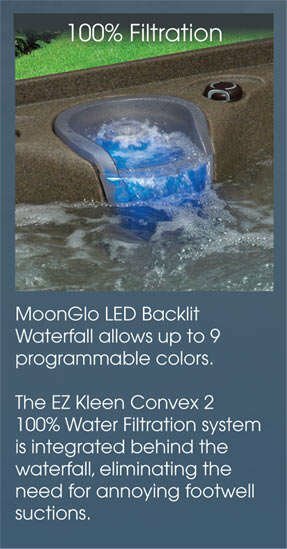 Our patented MoonGlo Waterfall with backlit LED light creates the perfect ambiance as you soak. With unibody construction that is virtually indestructible, this energy efficient model comes with a free super seal cover and features proprietary digital controls, our Easy Kleen filtration system and cartridge, a two-speed pump and an EZ Access drain valve. 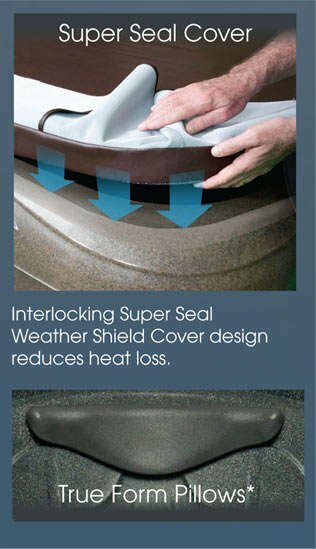 Because there is no wood frame like in many acrylic spas, you’ll never have to worry about leaks or water damage rotting or warping your hot tub. You gain all the benefits of a luxury spa at a fraction of the price. Enjoy the lustrous interior of the Big EZ available in four colors: BlackStone, CobbleStone, GrayStone or BrownStone. The easy to install, lightweight, plug and play design makes the Big EZ perfect for families and entertaining.